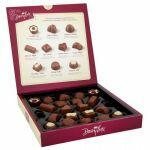 A delicious selection of milk chocolates. 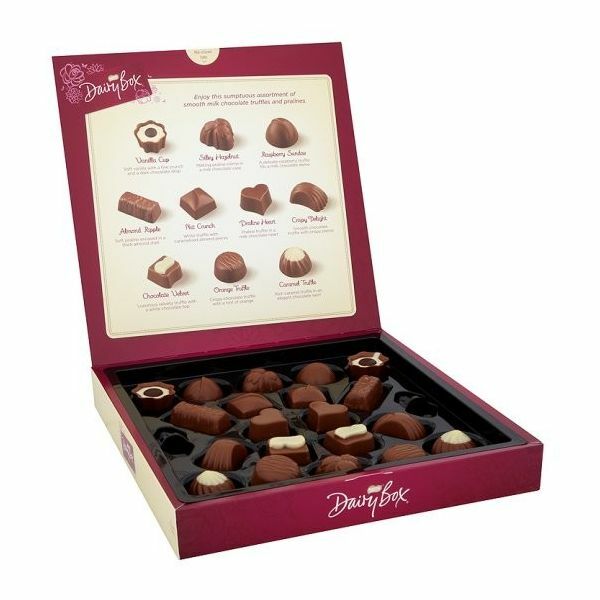 Selection of ten different truffles and pralines: Vanilla Cup, Silky Hazelnut, Orange Truffle, Almond Ripple, Vanilla Nut Crunch, Praline Heart, Crispy Truffle, Chocolate Velvet, Raspberry Sundae and Caramel Crisp. 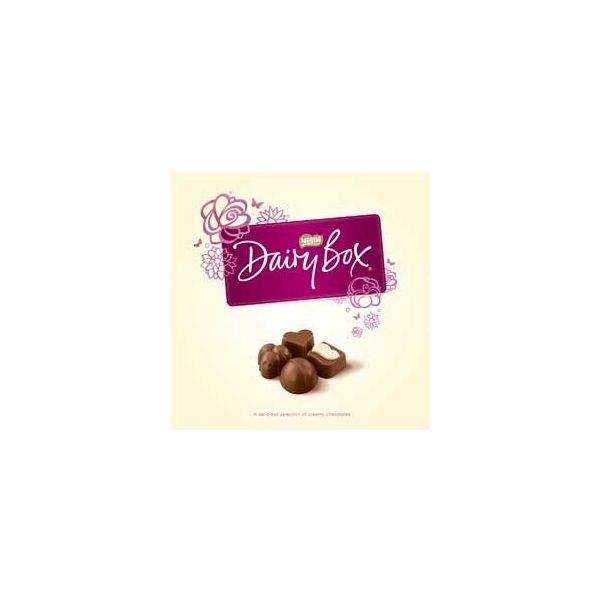 Dairy Box offers a delicious selection of milk chocolates. 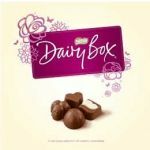 Perfect as a gift to enjoy this box of delights with friends and family. 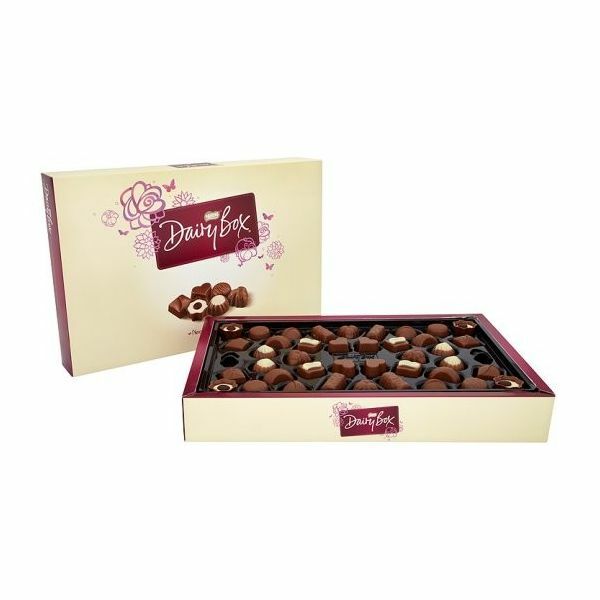 Superior Pack Size: 400g A sumptuous assortment of Dairy Box chocolates with the special addition of three new chocolates in the assortment - Contains 44 delicious milk chocolates in a variety of truffles and pralines Dairy Box contains no artificial colours, flavours or preservatives InformationA delicious selection of milk chocolates.